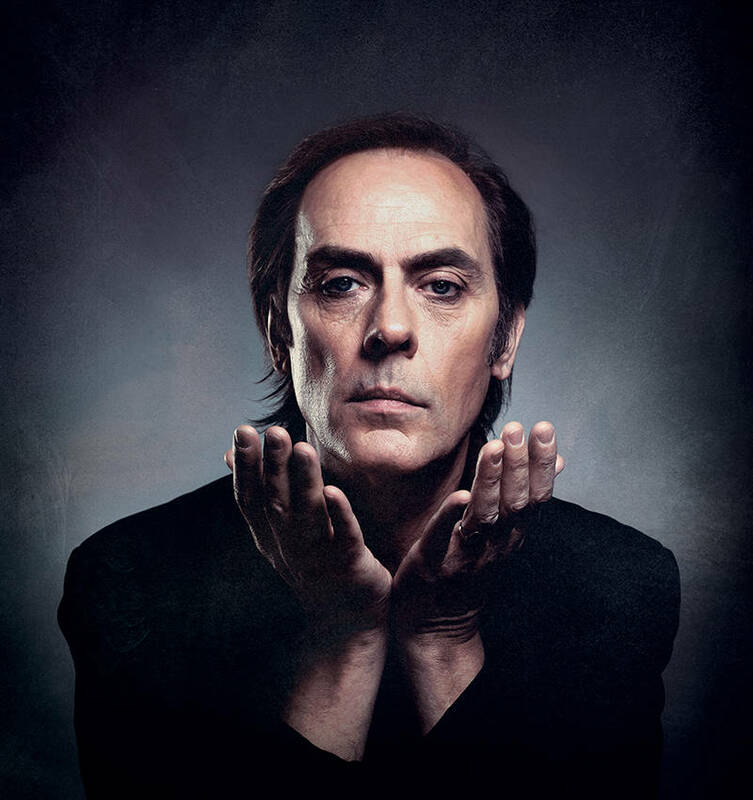 Update, March 5, 2019: Peter Murphy's month-long residency at the Chapel was rescheduled once again for March 2019. Details here. Update, Feb. 6, 2018: Peter Murphy's residency at the Chapel has been rescheduled to June and July, according to Murphy's Facebook post. Official dates have not been announced, but check back to the Chapel's website for details. Update, Jan. 31, 2018: Peter Murphy's residency at the Chapel continues to be delayed while he remains stuck in Istanbul due to visa issues. The venue re-scheduled tonight's show to Feb. 19, and it has been keeping ticket holders updated on the delays and rescheduling. Chapel representatives say full refunds for any rescheduled show are available, and tickets for rescheduled shows will still be accepted. For more updates, visit the event page on Facebook. Update: Due to unforeseen issues with his visa application, Peter Murphy has delayed the Jan.26-28 shows of his residency, but has scheduled makeup concerts for February. According to a Jan. 27 Instagram post, his band and crew are already in San Francisco. "Once Peter Murphy is in the building twill be announced," it reads. "He’ll most likely fly, and after 18 hrs in the air, land running and on stage that night. (He’s telling us to tell you he can’t wait)." Thanks to pop culture staples like The Craft, Saturday Night Live’s old "Goth Talk" skits, or Neil Gaiman’s famed Sandman comic series, it's pretty easy to come up with a mental image of "goth" -- think dark clothes, the potential for melodrama, and more than a little angst. But in the late '70s and the early '80s, goth was a burgeoning British subculture that eventually spread throughout the world via music, fashion, and shock value. Among its key architects: the famed UK group Bauhaus, an act that arguably -- and totally inadvertently -- founded goth rock thanks to their astonishing, late-'70s glam anthem, “Bela Lugosi’s Dead." Bauhaus isn't typically featured on classic radio stations alongside the Cure or Depeche Mode, but their two reunions in the '90s and 2000s attracted crowds all over the world, and the band's cult following hasn’t disappeared to this day. Despite the fact that Murphy doesn't believe he's reached his full potential, it's safe to say that the ripple effect of Bauhaus' influence has altered the course of rock history: Nine Inch Nails’ Trent Reznor and Smashing Pumpkins’ Billy Corgan both consider the band a major influence, and both of them have shared the stage with Murphy during important periods in their careers. Bauhaus' shadow has moved well beyond music, too. The fact that Murphy was specifically cast for a cameo as an ancient vampire in the Twilight movie series -- over thirty years after Bauhaus’ appearance in another vampire movie, The Hunger -- says it all. Murphy talks in detail about rehearsing his past solo work with his current band for the residency, noting how some of his earliest efforts were studio constructions never fully played live. It’s not the first time he’s looked back on what’s he done before, though. In recent years, aside from his 2014 album Lion, his first to chart in America in over two decades, Murphy’s focused on tours looking back at Bauhaus. 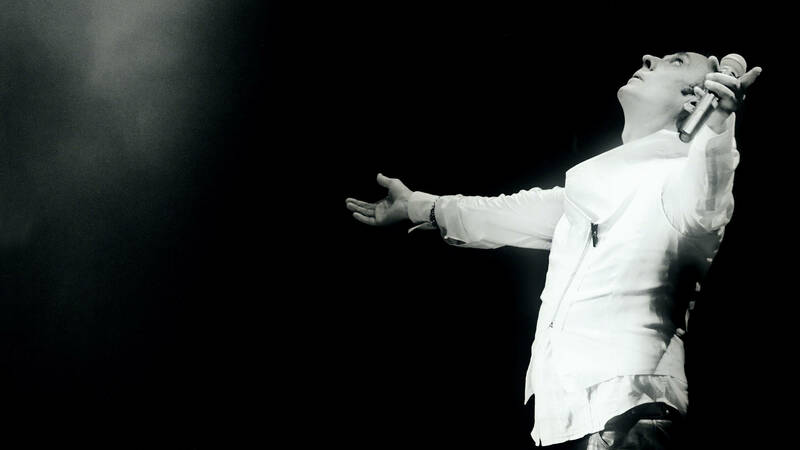 His Stripped Tour, featuring drumless reinterpretations of his solo work, can be heard on last year’s live album Bare-Boned and Sacred. It was near the end of that tour, in December 2016, that he got the idea for the Chapel residency -- quite by chance and sudden inspiration. “We arrived really early that morning. I met Fred [Barnes], the Chapel manager,” he says. “It was about six in the morning, and I just rolled out of the bus. We sat and chewed the fat, and I just had this great sense that this was somewhere that I was looking forward already to playing that night. It’s also a good size for such a long run, I think." Murphy had initially announced the dates almost a year ago, with a run planned for late June and early July 2017. Some time after tickets went on sale, however, a common affliction among singers cropped up -- nodules on his vocal cords, resulting from his steady touring schedule. Murphy had to postpone the shows, as he wasn't even allowed to speak while waiting on treatment and recovery. And Murphy? Though things have been complicated for the band in past years, he seems happy to embrace this twist to the fullest. For more information and tickets for Peter Murphy's Chapel residency, click here.